For generations, scientists and the public alike have been fascinated by the tantalizing possibility that there may have once been intelligent humanoid-type creatures living on the planet we know as Mars. Many of the strange photographs that have captured the attention of alien hunters and UFO believers can probably be explained away as merely being odd rock formations that happen to resemble creatures or structures. The human tendency to see faces or patterns in random or vague stimuli is called “pareidolia,” and the phenomenon is likely to account for many of the “sightings” of weird animals, human-like apparitions and supposed “man-made” structures on the surface of Mars. But are all of these anomalies so easily explained away? Most of us can be forgiven for laughing at images of formations vaguely resembling “mermaids” or “bears” when they are presented by slightly overzealous alien hunters as being “the real thing,” but some of the photographs taken by NASA rovers are not so easy to dismiss as tricks of the eye. The “dome” may very well be a natural feature of the Martian landscape, but is is rather odd-looking and doesn’t resemble any of its surroundings. 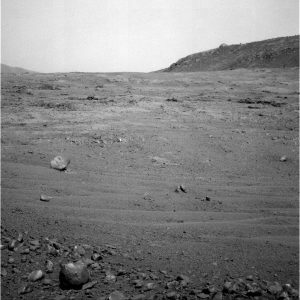 These are just two examples of Martian photos that contain difficult-to-explain anomalies, and although these, like many others, may be simply odd-looking, naturally-occurring landscape features, we can’t really be sure until we go to Mars and have a firsthand look around for ourselves – a prospect that seems less and less far-fetched as rocket technology advances and the dreams of visionaries like Elon Musk come closer to being realized. 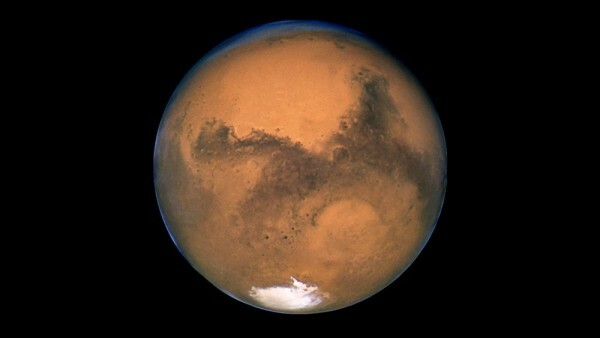 There’s a good chance that we may finally set foot on the red planet within just a few years. Interestingly, there has been at least one situation in which the scientific community has benefited from the obsessive search for weird anomalies among the NASA Mars photos conducted by those who believe there is evidence of ancient alien civilizations on the planet. One UFO website posted some NASA photos of a strange-looking rock formation that was interpreted as being a “building with a doorway” on the side of a hill. 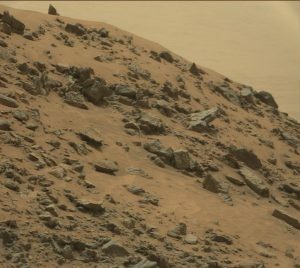 The purported “building” may have been a mere rock formation, but there were streaks in the sand below the ledge where the “building” was perched that looked an awful lot like fresh water flowing down the sandy Martian hillside. The website noted that fact, but attached no special importance to it. NASA administrator, Cassie Conley, was informed through a tip that there might be something worth looking at in the photo and, sure enough, it turned out to be one of the best NASA images providing evidence of water flowing on the surface of Mars. And generally speaking, where there is water, there is life – not to mention the fact that we now know that Mars was once blanketed with an atmosphere that may not have been so different to our own. That story gives us a good reason not to be too hard on those who might see things on Mars that aren’t necessarily what they appear to be. They certainly can’t be blamed for being curious (who isn’t?) and sometimes their efforts pay off, even if their findings turn out to be less sensational than a mermaid or bear living on the surface of one of our nearest planetary neighbors.